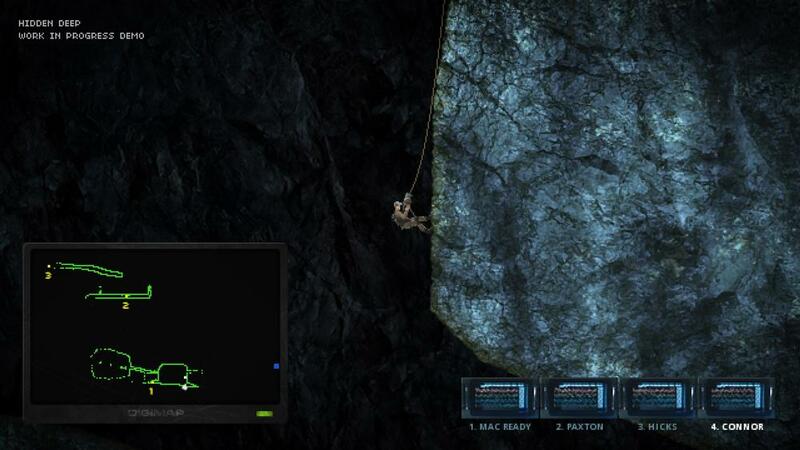 Hidden Deep is a 2D Action & Exploration Sci-Fi thriller which action takes about 1.5 km under the ocean floor. A group of researchers detected there some strange anomalies of unknown nature and organized an expedition to examine this mysterious phenomenon. After 564 days contact with the researchers suddenly breaks off. At this point you are entering as the leader of the second team who must check what happened there. Hidden Deep is an old-school game inspired by classic Sci-Fi games and movies of the 80's and 90's (mainly Aliens, The Thing, Another World, Flashback) with an addictive bit of dark plot. Very much emphasis was placed on richness and quality of character animations and general realism (as for 2D game). The game is running on its own engine with physics simulation and destructive terrain.